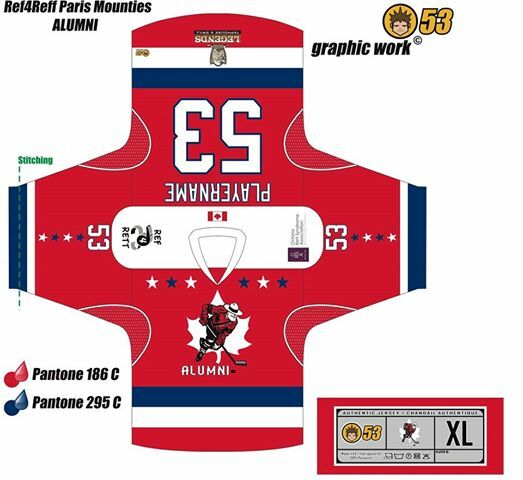 We are please to announce the roster for the Paris Mounties Alumni Team that will be playing against the Toronto Maple Leafs Alumni Team at our January 31, 2015 event at the Brant Sports Complex. These gentlemen have been raising awareness and funds for Ref4Rett and the Ontario Rett Syndrome Association’s Hope Fund and will be wearing custom jerseys during the game. To donate to one of these participants, click here: http://ref4rett.myevent.com/3/sponsor_participant.htm. Also, you can still bid on the opportunity to coach the Toronto Maple Leafs Alumni team during the game. If you are interested in placing a bid on this once in a lifetime opportunity click here: http://ref4rett.myevent.com/3/auction.htm. Tickets to the event are $20 each and include admission to both games. Tickets are available at the following locations: Legends Taphouse & Grill, during the Paris Mounties Home Games at the Brant Sports Complex or by emailing us at ref4rett@gmail.com. Along with the great hockey and silent auction, there will be an autograph session with the Leafs Alumni after their game. We have also posted some of the great items that will be apart of the Silent Auction. See the Silent Auction Tab to view.